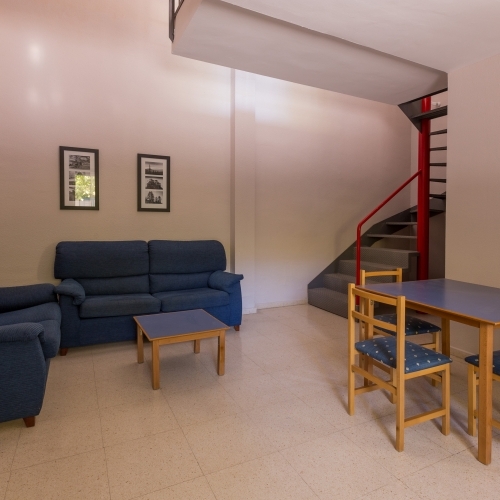 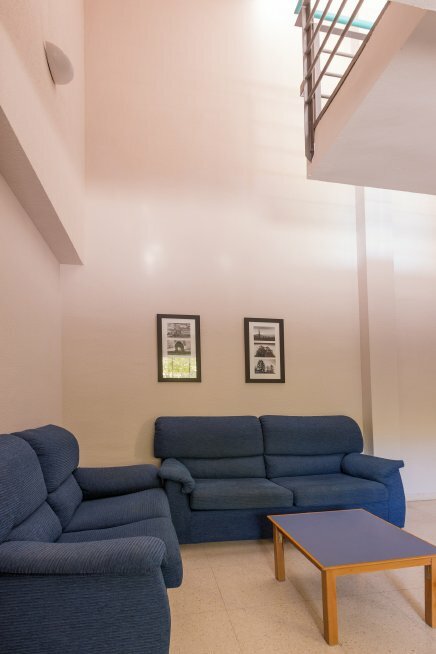 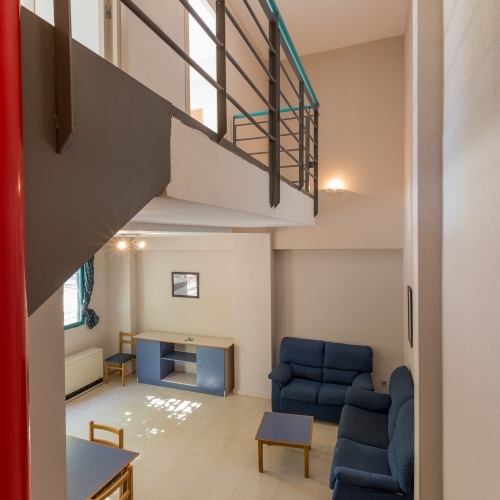 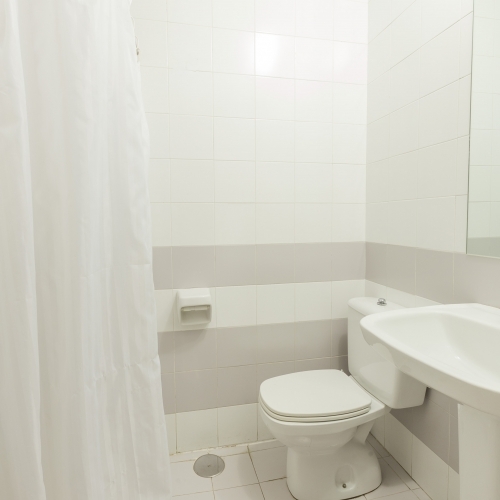 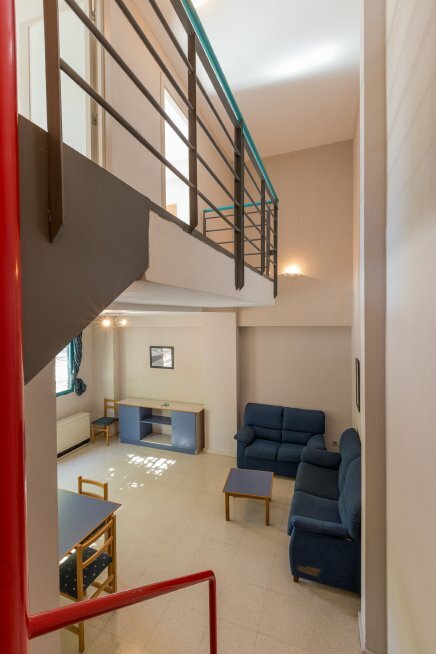 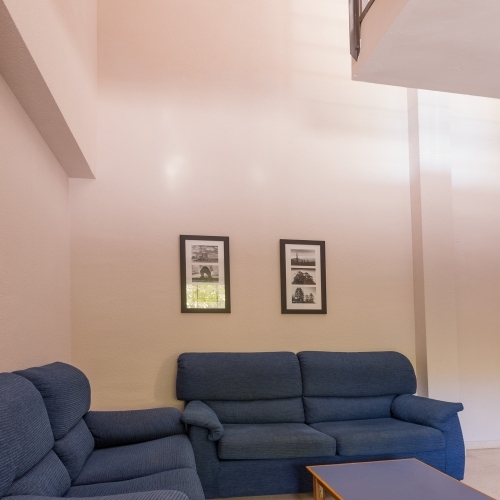 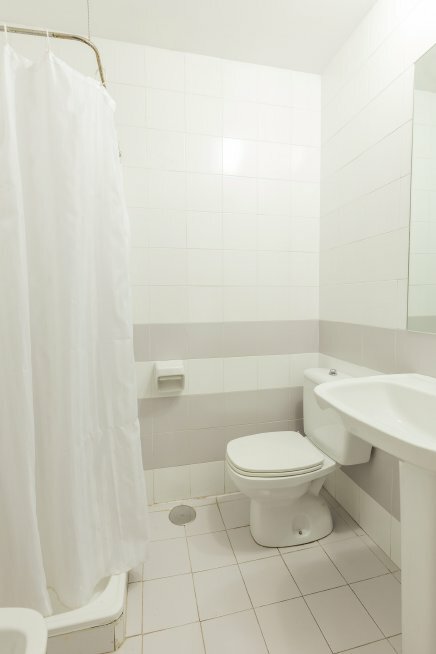 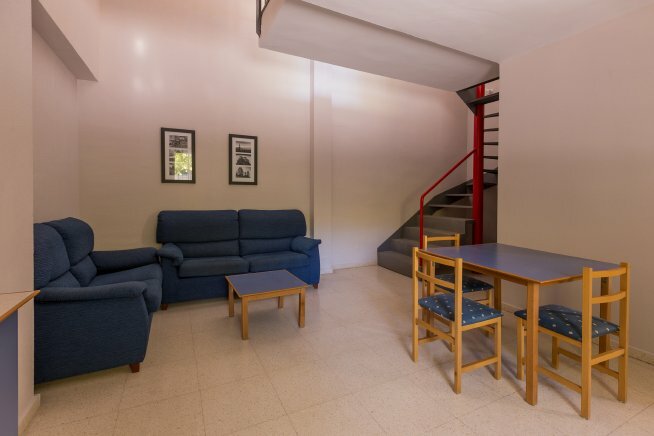 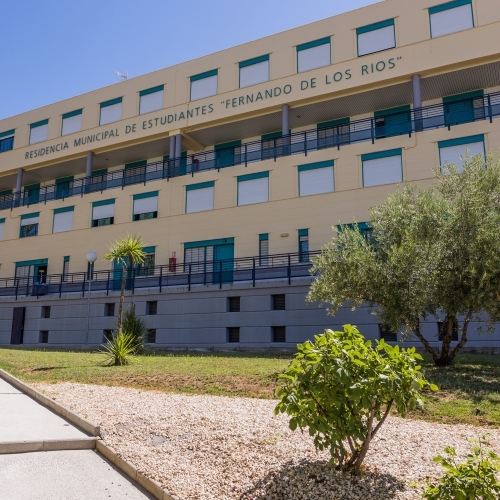 Fernando de los Rios Residence is an apartment complex, that offers you a well-appointed high level university accommodation, and a private flat at the same time. 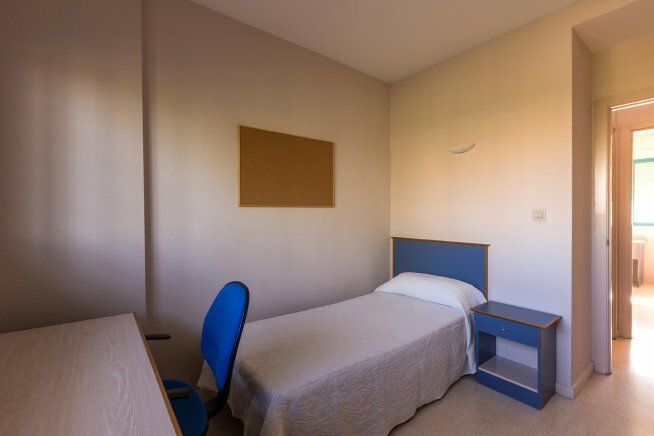 We are located in a quiet area, well connected with the University Campus, the bus and train stations and the city centre by urban transport (U3, SN5 y N7). 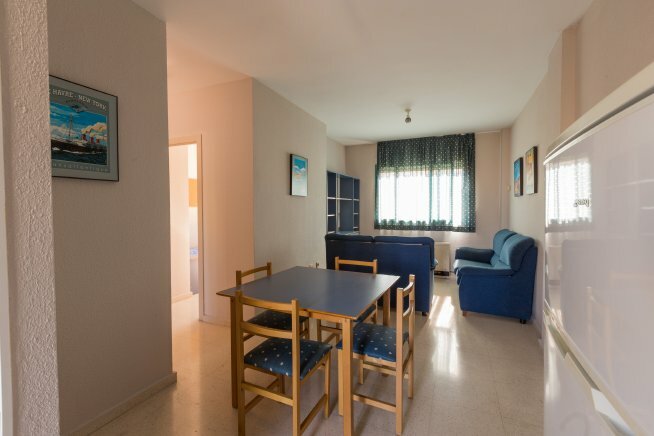 Apartments, which are furnished and fully-equipped, provided with a living-room dining.room, a kitchen, a bathroom and a single bedroom, are designed for two people and thought to make guest’s daily life easier. 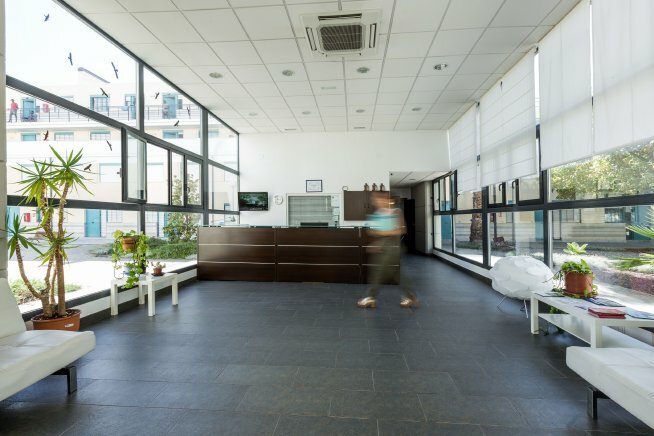 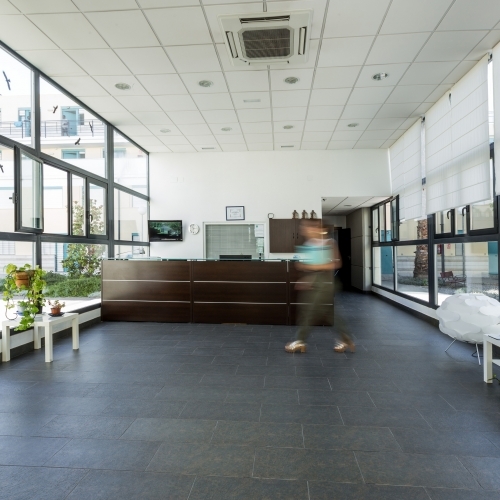 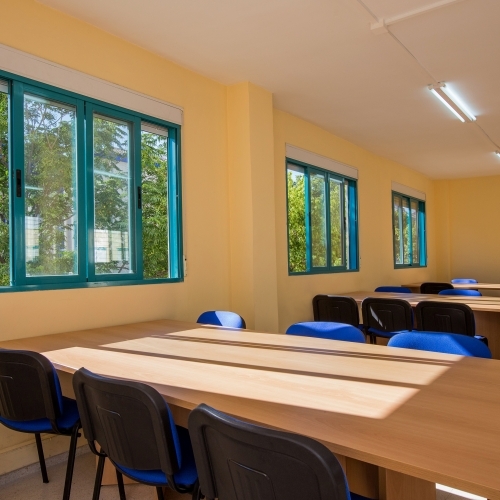 They also have large and bright shared spaces and enclosed and security serviced areas. 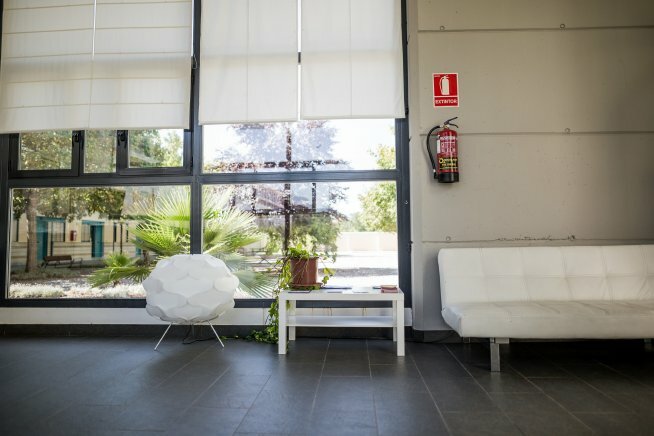 Our apartments are the perfect place for students in Granada, not only because of their high quality and competitive price, but also for our safe installations, our staff’s willingness to solve every possible difficulty, the friendly current atmosphere , and the lots of spare-time activities for you to do when not studying. 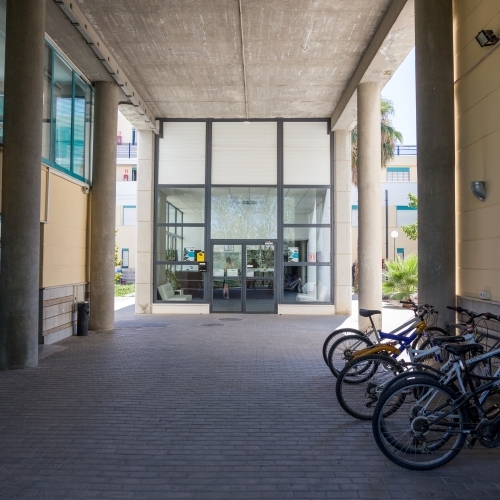 Come to meet us! 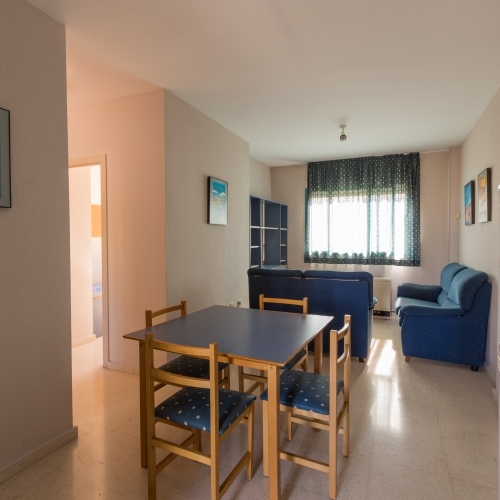 You’ll be delighted and you will feel at home! 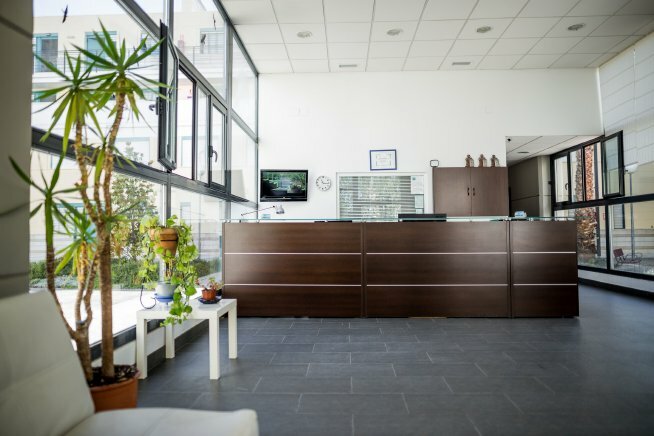 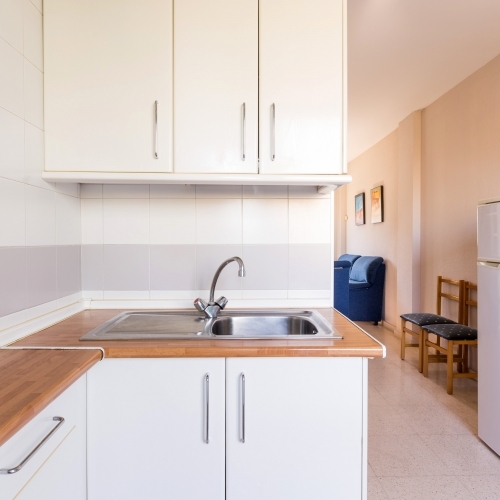 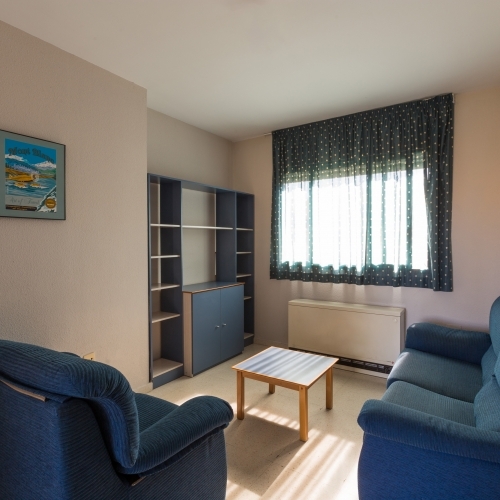 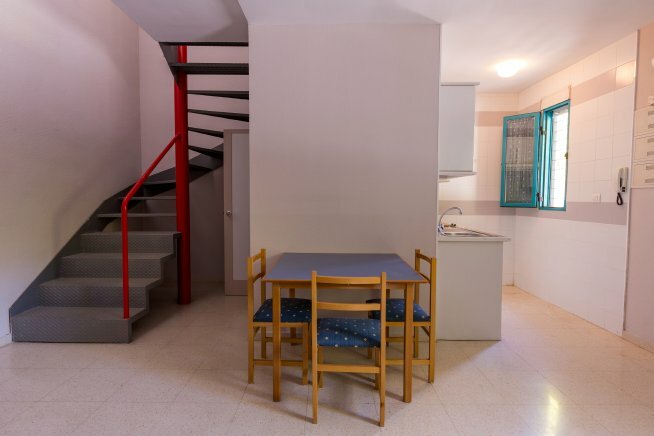 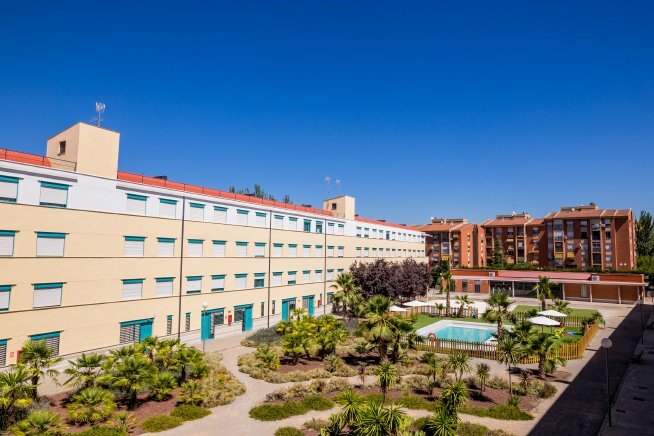 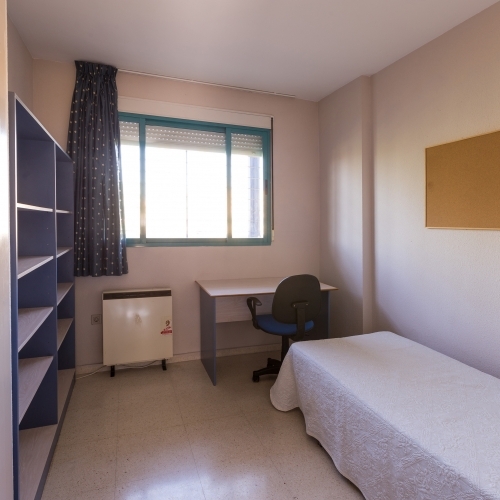 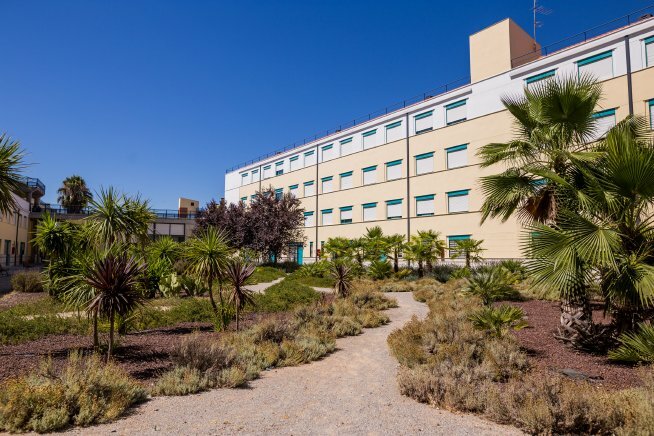 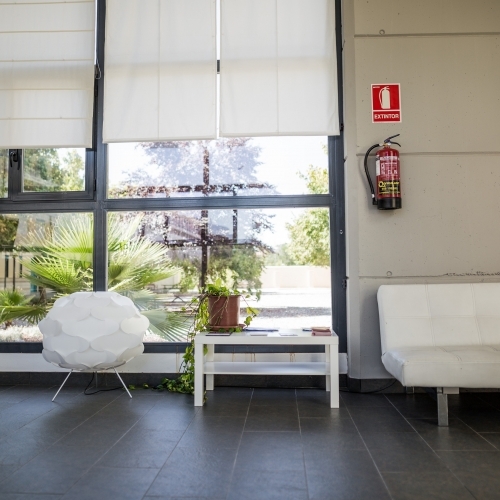 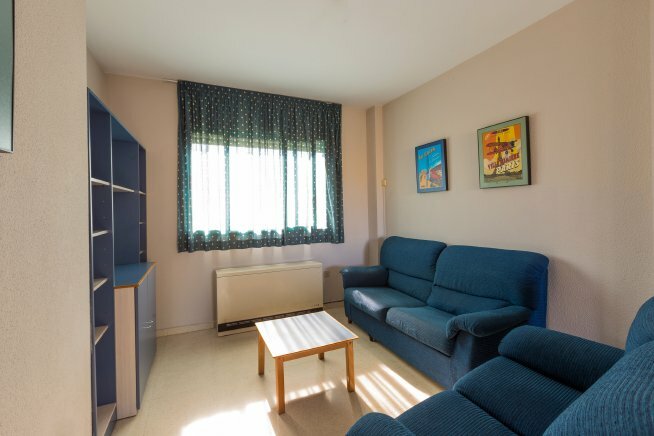 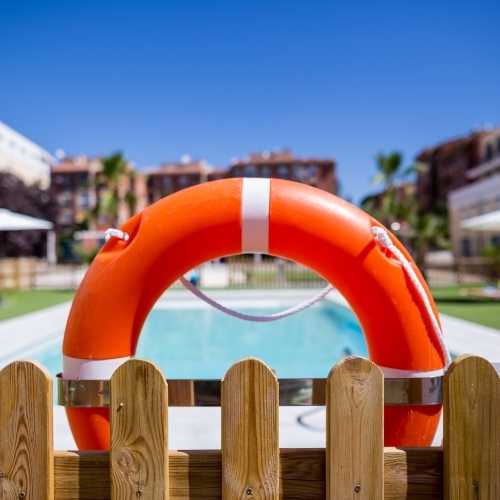 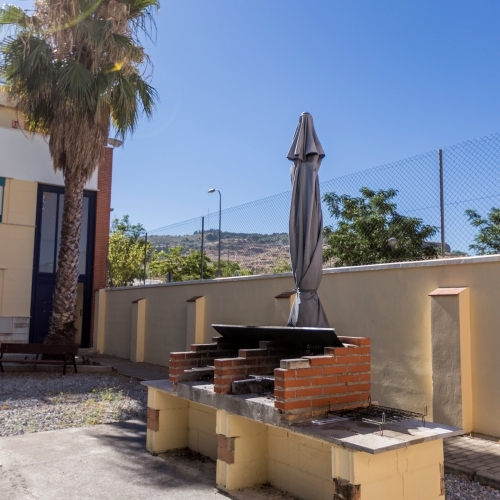 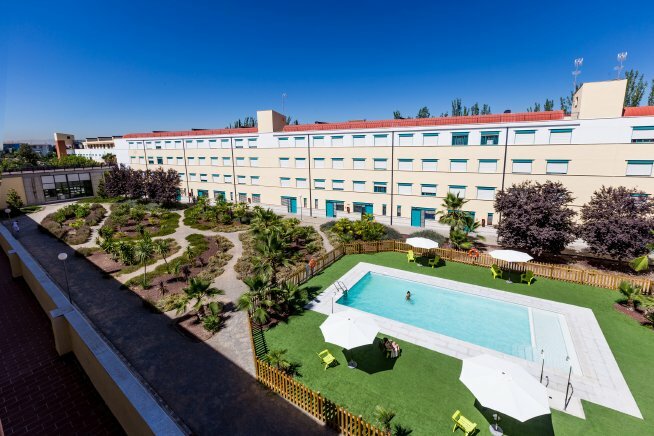 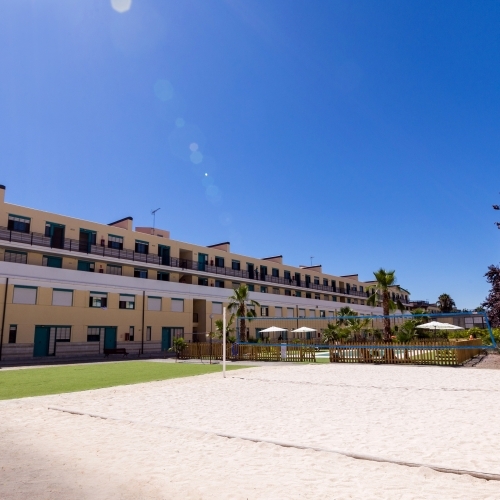 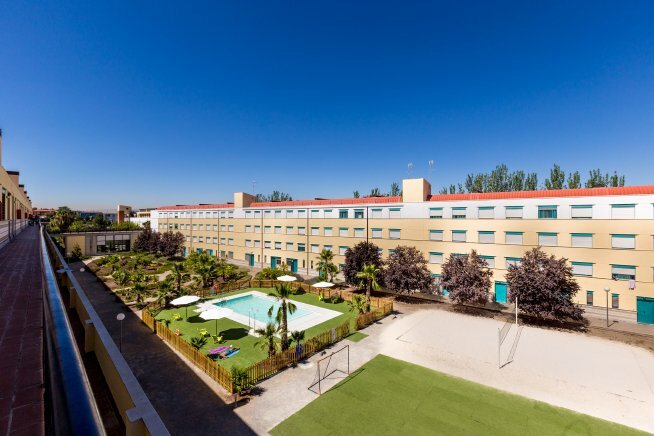 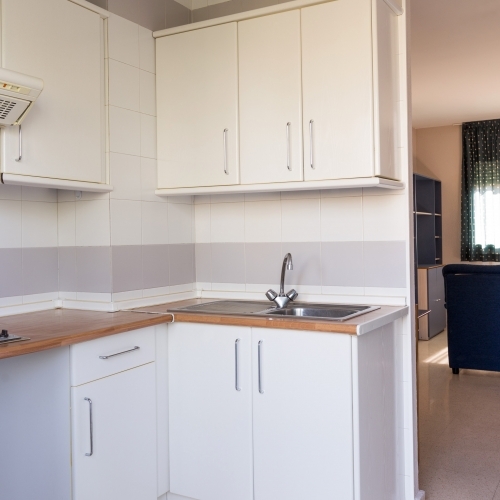 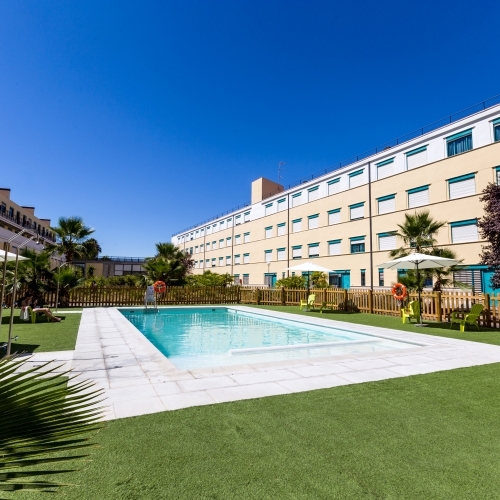 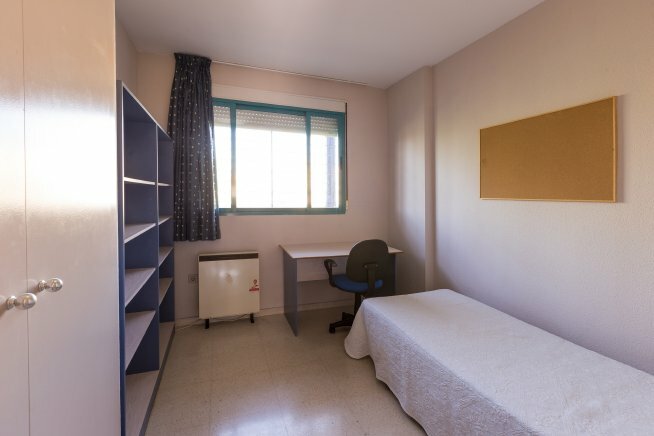 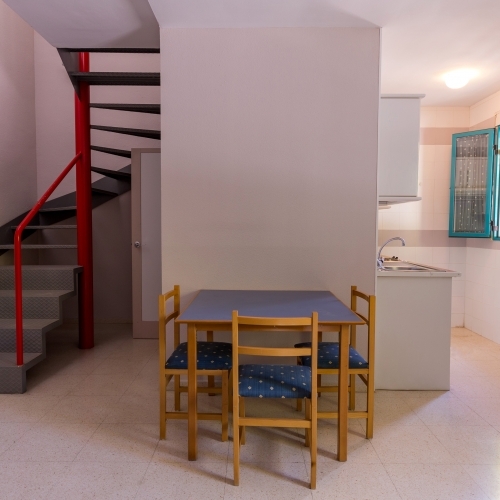 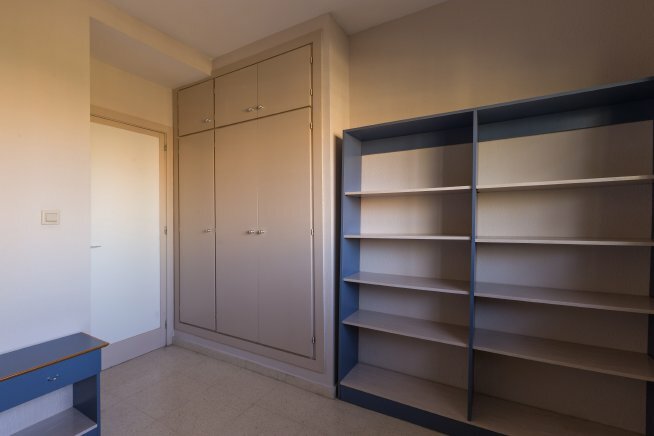 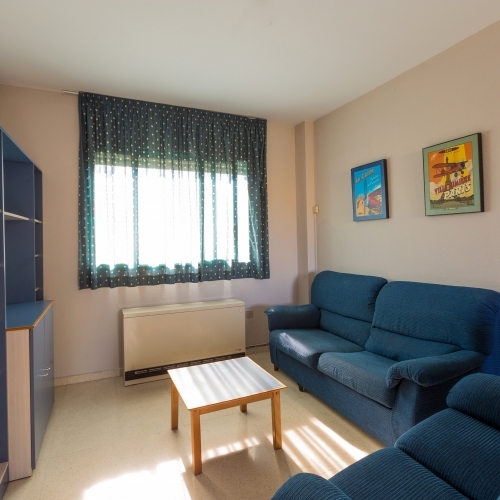 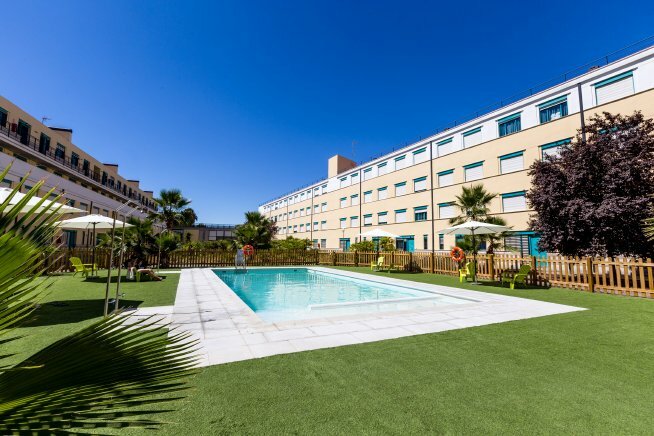 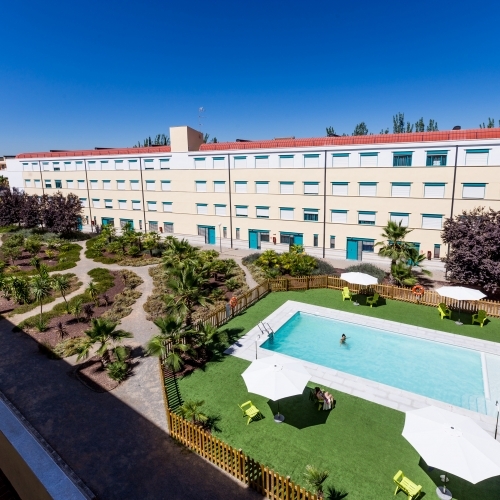 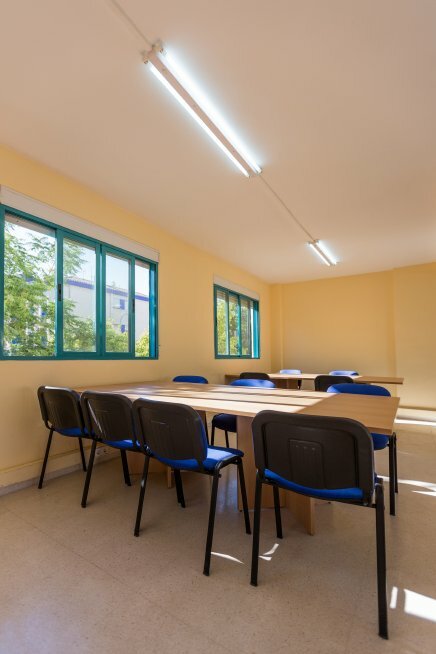 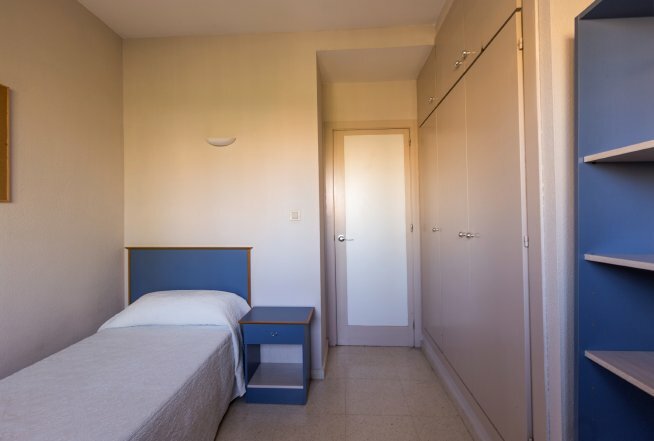 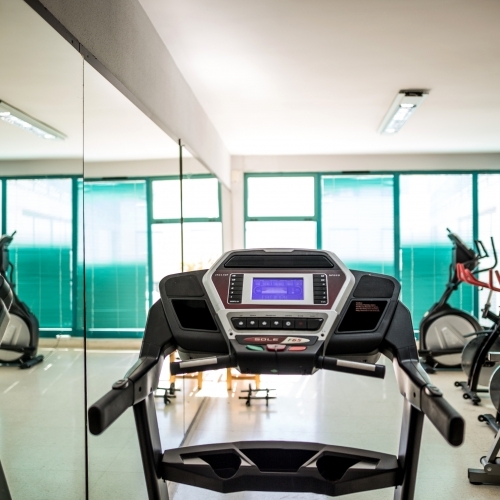 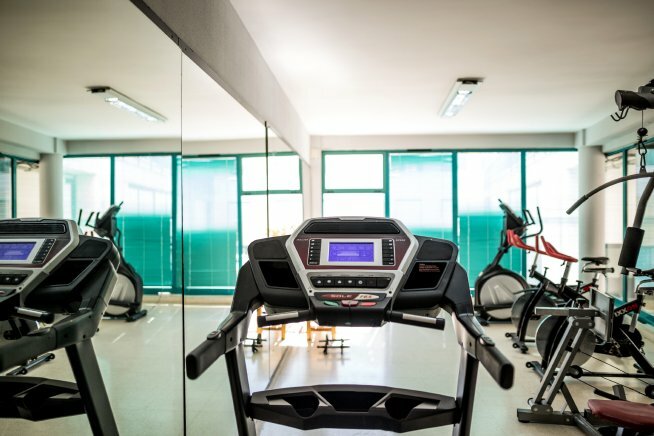 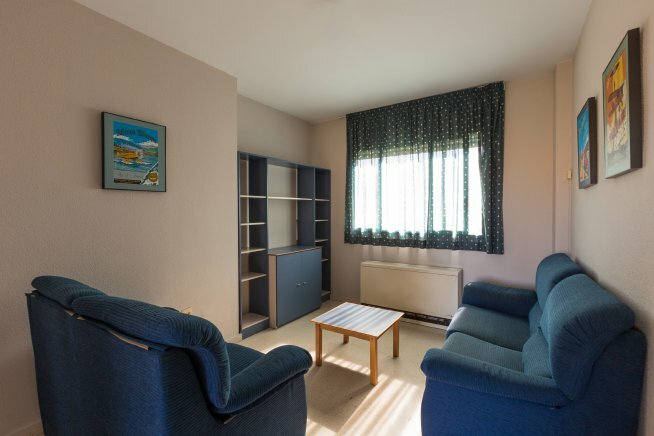 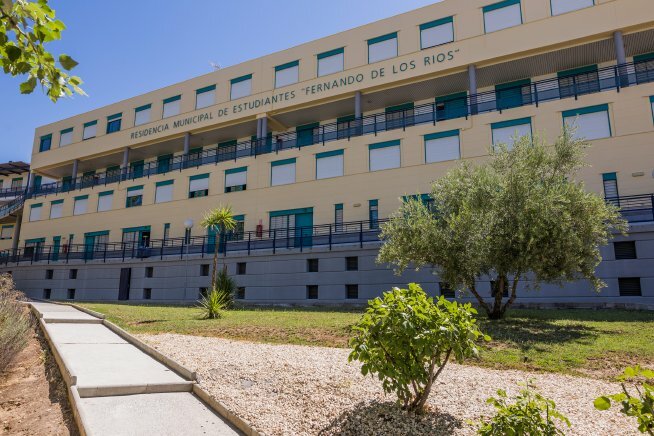 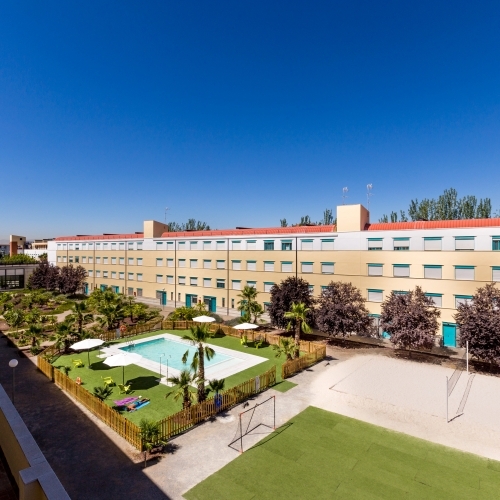 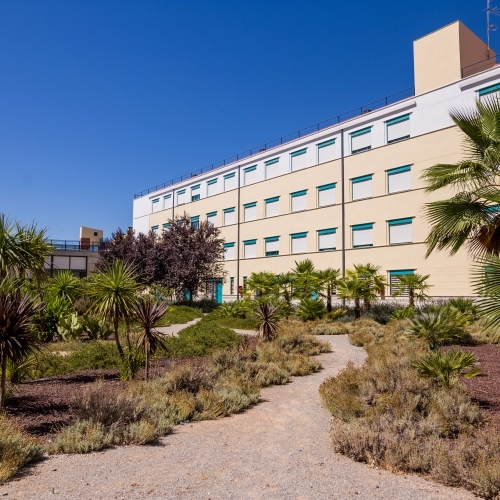 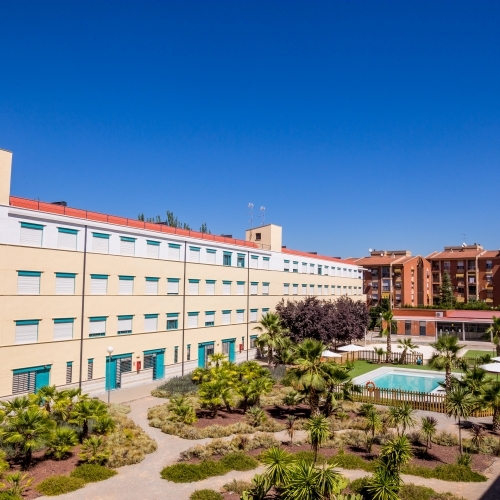 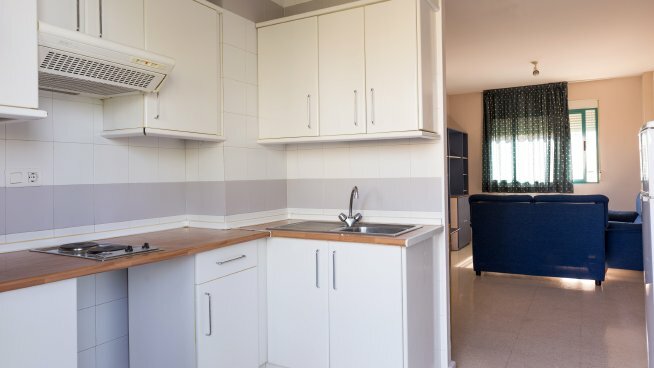 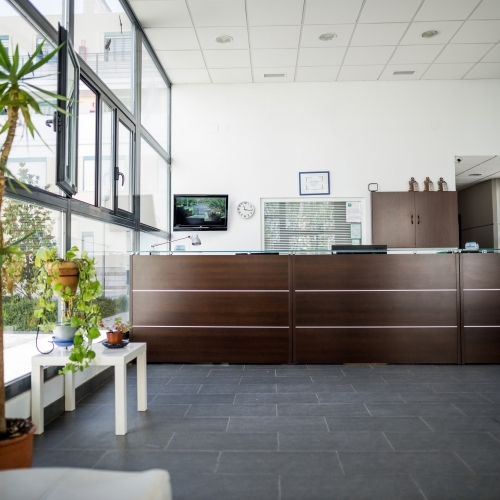 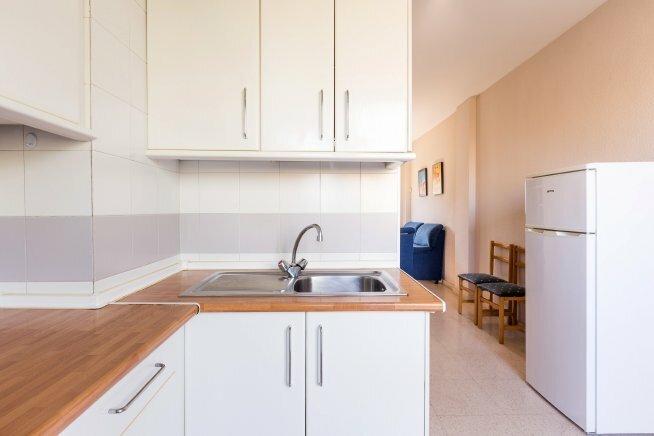 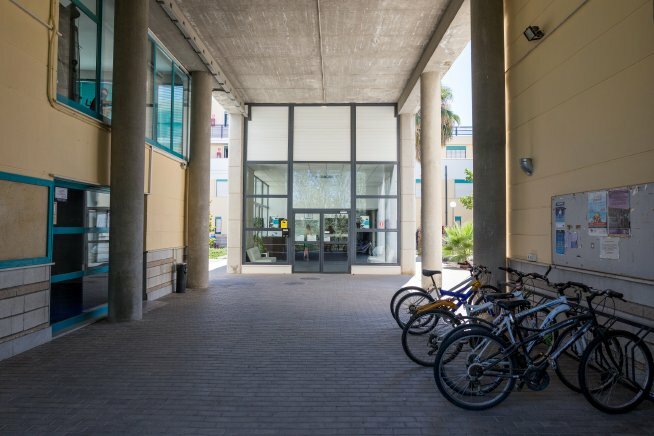 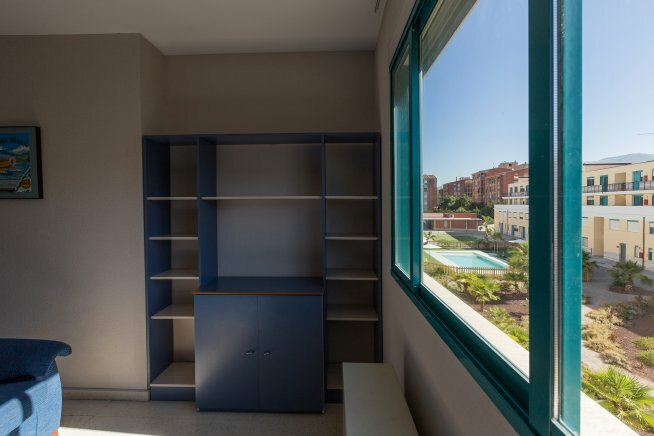 Ours is the prime location for a student residence, opposite the Sport Science Faculty, ten minutes away from Campus de la Cartuja and well connected to the other campus by U3 and U1 lines. 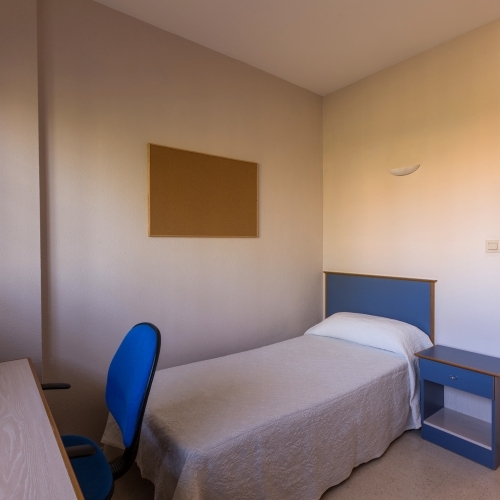 Several accommodation options are available. 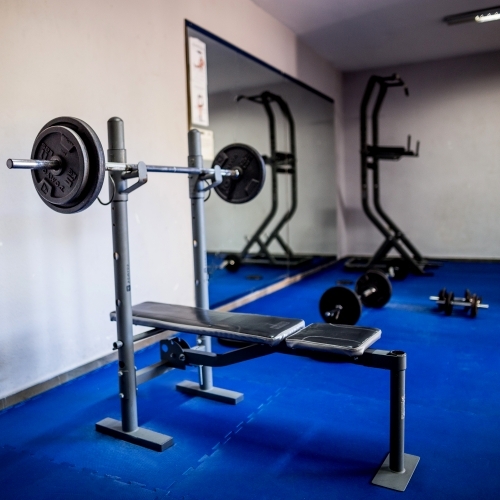 Double or single. 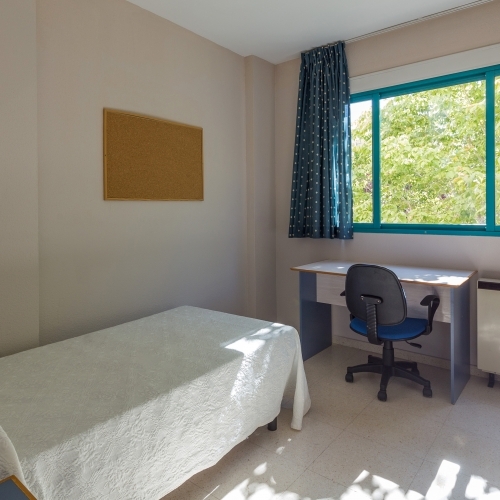 The full academic year , less than 9 months, or a single month. 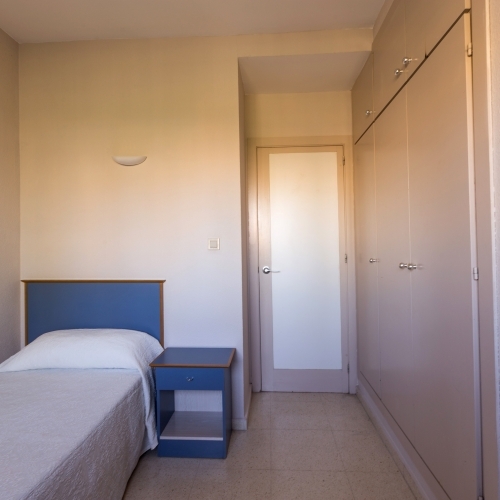 You are the one who chooses what your stay will be. 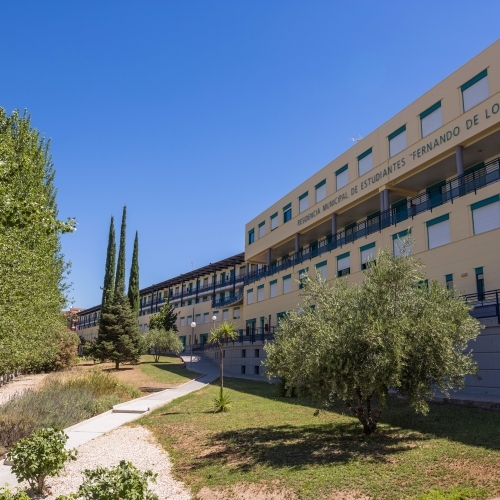 1º Download here “Terms of enrollment for 2019/2020 course”. 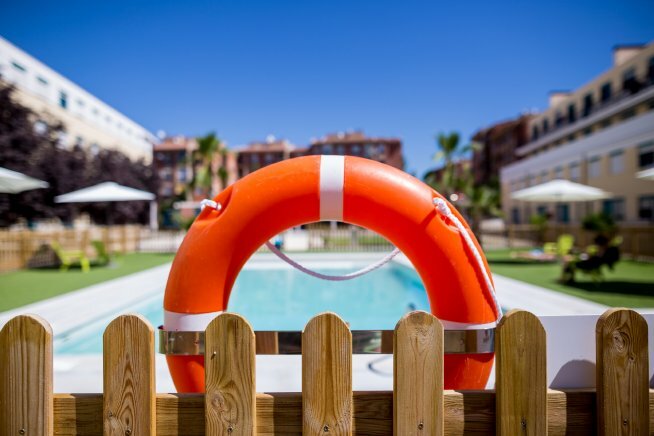 Read and follow the instructions. 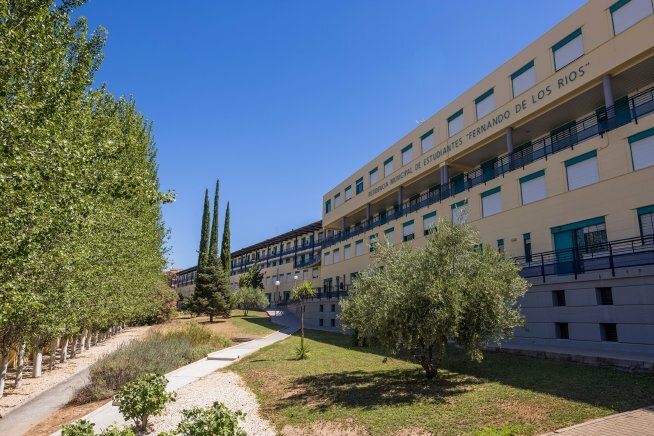 2º Download here “Enrollment Form 2019/ 2020”. 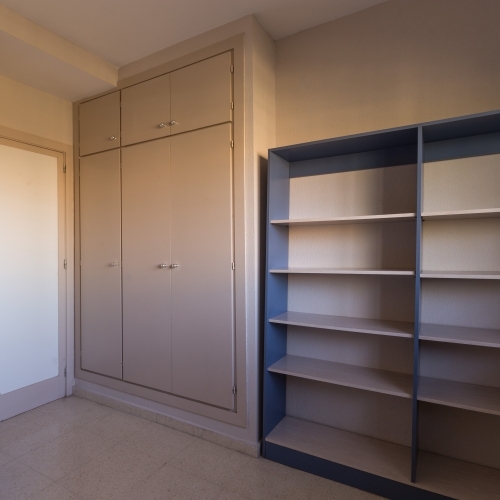 Fill in the form, put down the deposit and make a copy of the required documentation. 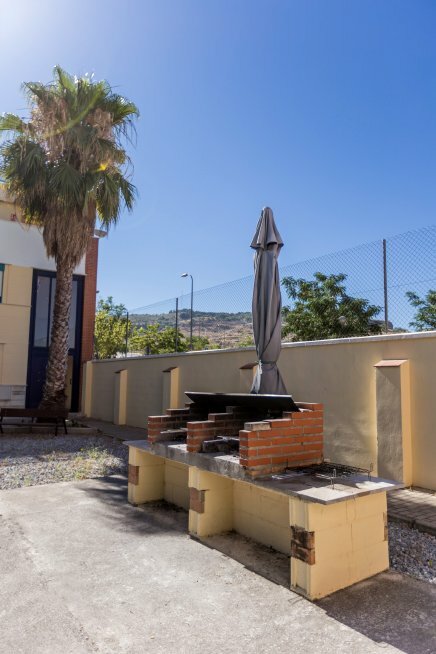 The university atmosphere is incredible, specially at communal spaces where you can share time playing pool, table football, table tennis and so on….not to mention the parties held at the communal lounge or barbecues at the garden. 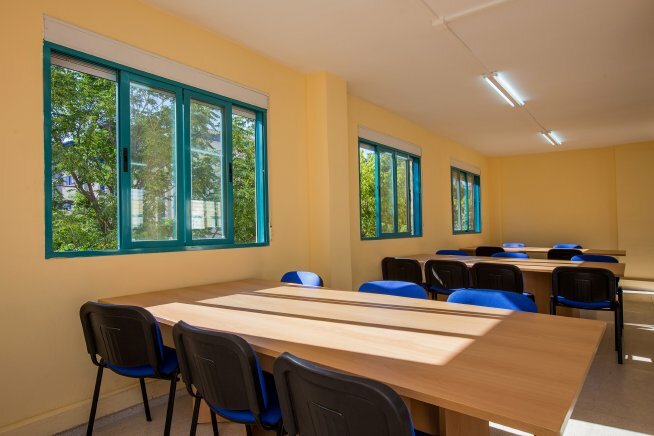 When it’s time to study for the exams, there is a library where to focus and study. 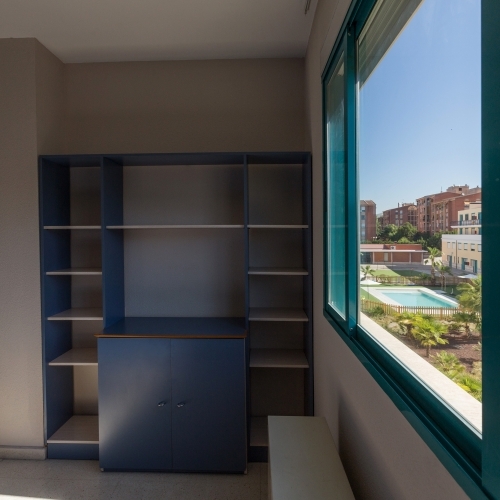 As for the apartments, they are the perfect place to have the privacy of one’s home, sharing at the same time your space with a friend. 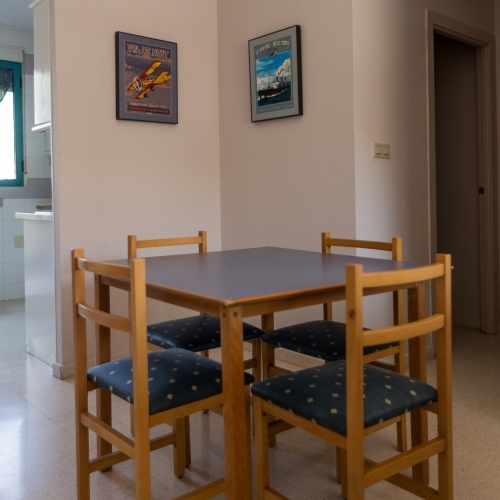 I thought living away from home would be more difficult than what I’ve experienced here; much easier than expected!! 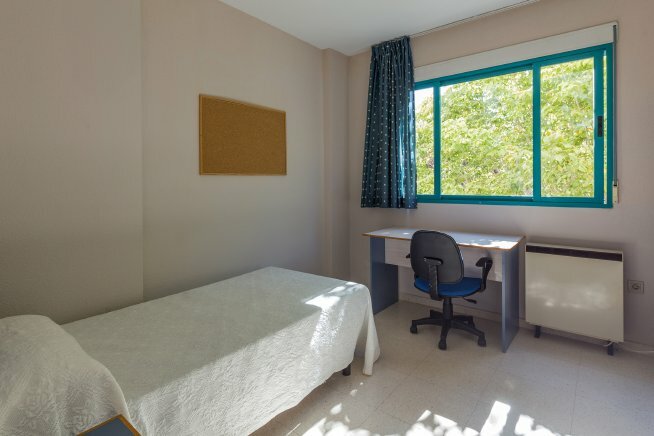 I’ve been here for three months now and I’m feeling at home. 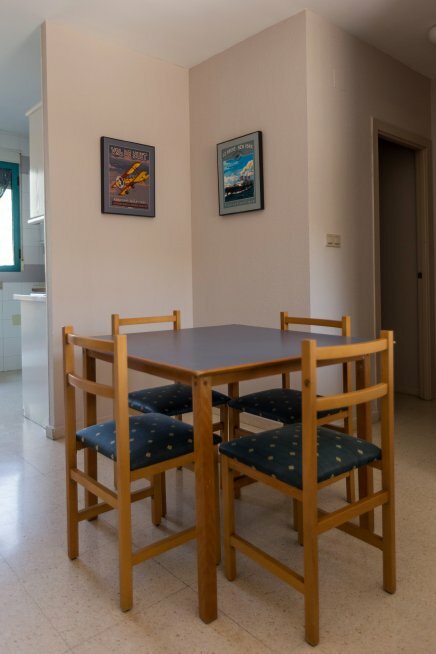 I’ve got to know really nice people from everywhere. 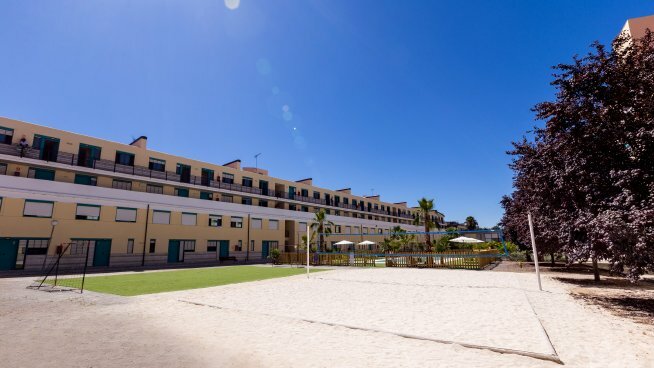 I’ll be back here next year, for sure.